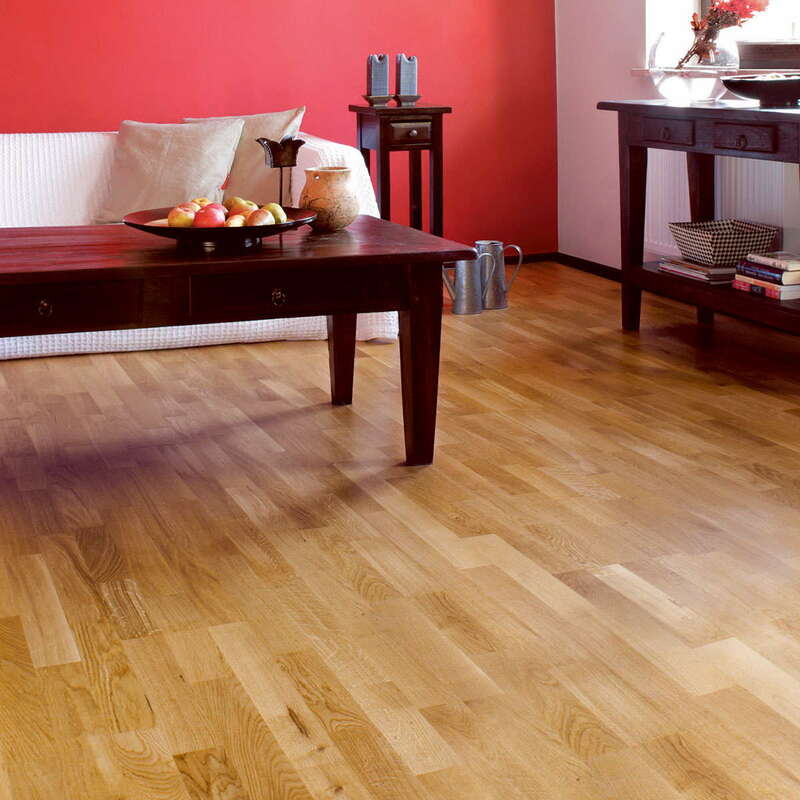 Natura Oak Brooklyn Wood Flooring is our most popular floor, and we've got a bit of a soft spot for it. 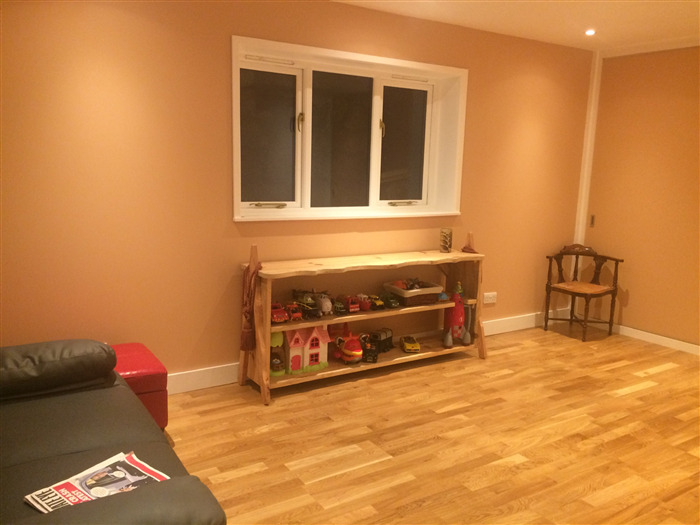 It's a 3 strip engineered wooden floor with a rustic appearance, finished with a satin lacquer treatment that is hardwearing and easy to clean. Natura Essential Oak Brooklyn is a beautiful and hugely versatile floor with a 10 year domestic warranty - what's not to love? Found it easy to order, product arrived on the day. 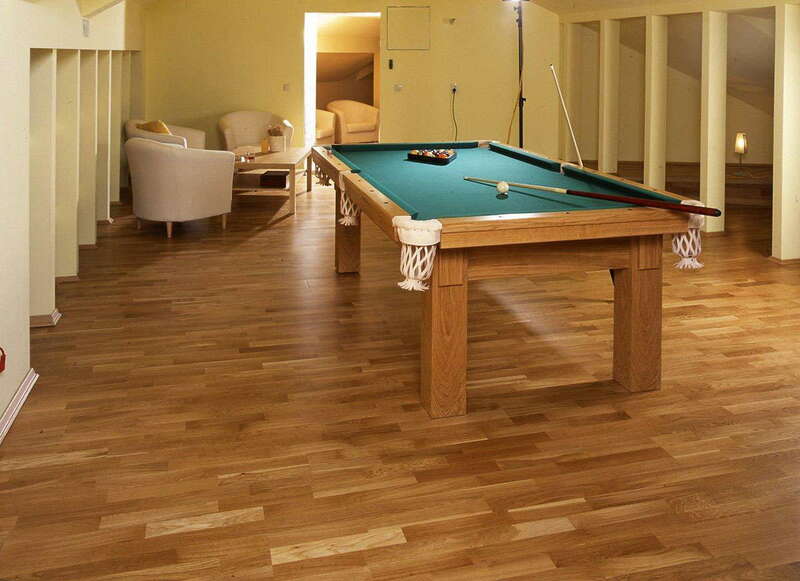 Our carpenter who laid the floor said, that the quality of the flooring was very good. Hi Dave, Thanks for your question. 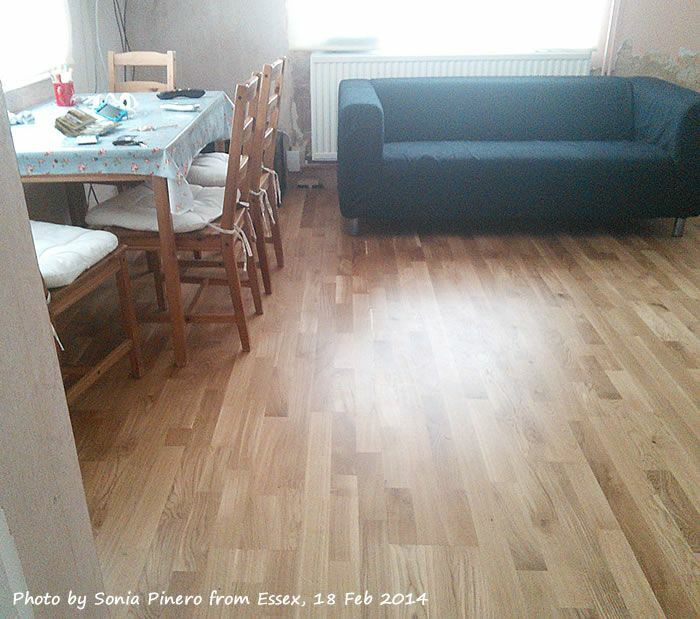 This is a natural oak floor with a fair amount of variation so every board will be slightly different to the next. It's hard to get a good idea through a computer screen as everyone's screen resolution etc. is different. I would suggest ordering a free sample of the product to get a better idea of the colour. Hi Miguel, Sometimes any wooden board can arrive bowed - this is because of moisture levels in the wood and is a very natural feature. 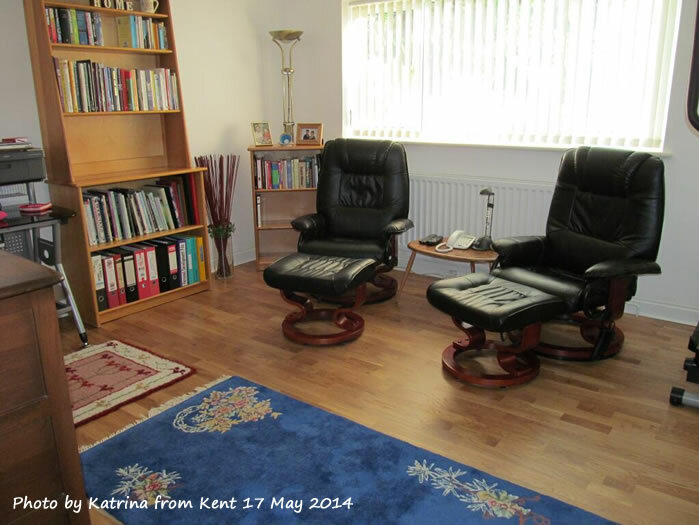 The good news is that in almost all cases, the floor can be laid without any problem. All you do is make sure to stagger the joints (which most people do anyway). However, if any of the boards are unusable then yes, of course we would send out replacements free of charge. Is this suitable to be fitted on stairs and do you supply a matching nosing to make this possible for the Natural Oak Brooklyn? Hiya, could you please tell me the wear resistance (AC grade) of this floor? Thank you! 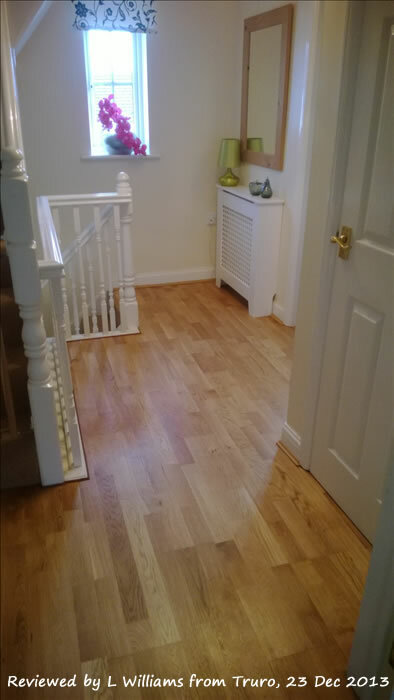 whats the best care/appliance I can give to my newly laid engineered wooden hallway??? 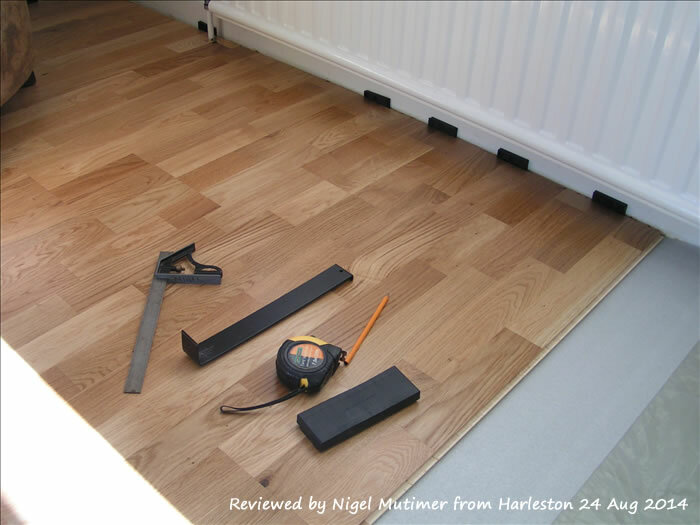 What underlay is needed for underfloor heating ? Would a desk chair with casters be ok on this flooring type? Hi there We recommend the use of a suitable plastic floor cover when chairs with castors are used, because the continued rolling over the same area could mean the floors finish is worn quicker than normal. Just wondering how the warranty works, who to contact and if it includes surface damage or has to be an entire section that needs replacing for the warranty to be effective. Manufacturer warranties cover the engineering of a board. 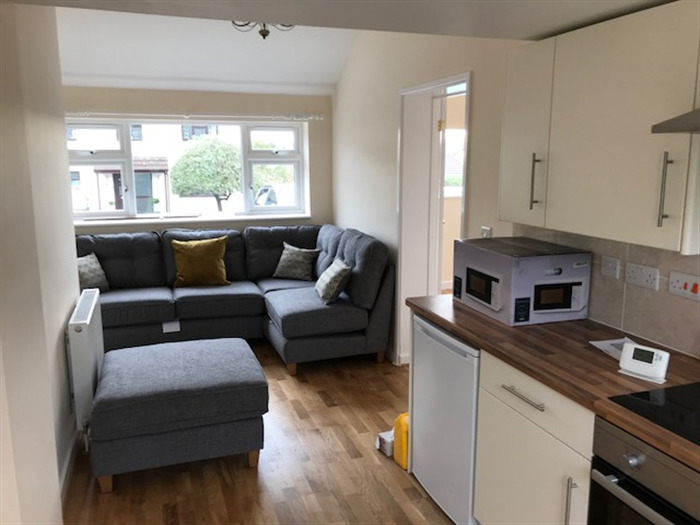 This would include the locking mechanism and the adhesion of the veneer as long as the correct installation methods and maintenance advice are followed. 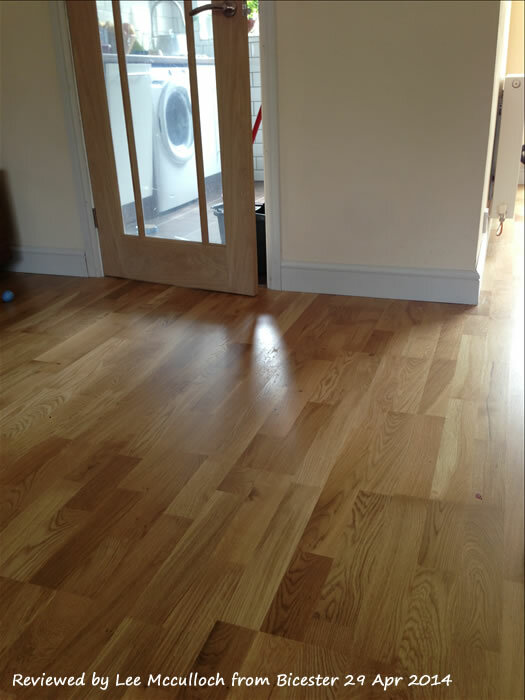 Wooden floors will scratch mark and dent which is something that a warranty will not cover. Tips such as using coir entrance matting and felt floor protectors on furniture feet will add to the protection of your floor keeping it looking fantastic for longer. Is this product suitable to be layed straight onto cellotex insulation sheets- ie with no battons? There are many varieties of cellotext, all with different specifications so that's a difficult question to answer really. The rules regarding subfloor suitability are quite simple: The subfloor need to be dry, flat, even and load-barring. If you prepare your subfloor to meet with these 4 simple rules you're good to go! 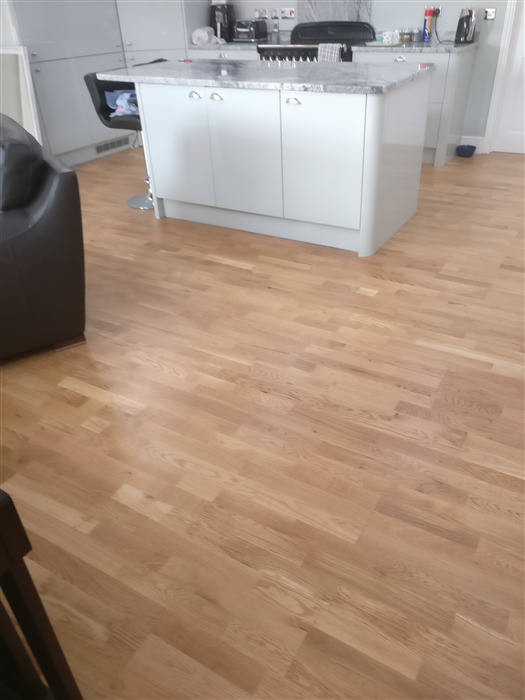 Is this floor suitable for kitchen areas...do you have a13m engineered 3 strip european oak flooring or is this the closest to it? Thanks.